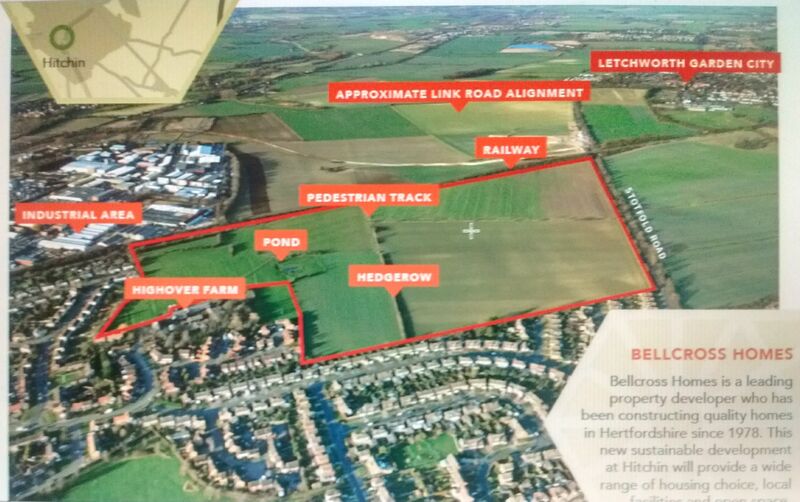 An initial exhibition of the outline proposals for this development from Bellcross Homes was held at the Walsworth Community Centre on Thursday 22nd and Saturday 24th June. The exhibition display panels are here – just click. We are very disappointed that the deadline for this phase of the consultation is so short – the deadline is Monday July 3rd!! 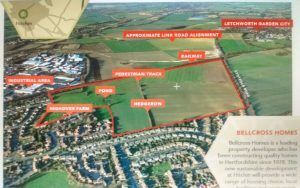 From the display boards it appears that little consideration has been given to ways to reduce the impact of the development on traffic either at the boundary of the development, or in Hitchin in general, and especially the A505 between the Stotfold roundabout and the station. We will also be highlighting the failure to mention social housing provision. All of these points were part of Hitchin Town Action Group’s response to the Submission Local Plan to which the Forum contributed.